Losing a loved one is always a traumatic experience, but it can be even more trying if the death was the result of a preventable accident. If your family member's death was caused by someone else's negligence or mistake, it may be within your rights to take legal action and receive financial compensation. To ensure that you achieve the most favorable outcome and to help you navigate a potentially complex and stressful process, it's important to work with a trusted attorney who specializes in wrongful death cases. Although each state has its own set of laws about wrongful death litigation, most of them specify that a surviving spouse, child or next of kin is entitled to sue a defendant for wrongful death. State statutes make distinctions about exceptions to who is entitled to sue, such as a parent suing for the death of a grown, independent child or a grown child suing for the death of a parent. Although no amount of money can mitigate the grief of losing a loved one, receiving your rightful compensation can help to cover living expenses and ensure a financially stable future. The amount of the monetary award will depend on many factors, including the deceased person's income, the level of survivors' dependence on that income, amount paid for medical and/or funeral expenses and how much money the lost loved one had saved prior to the death. Why Choose GCE Law as Your Wrongful Death Attorney? 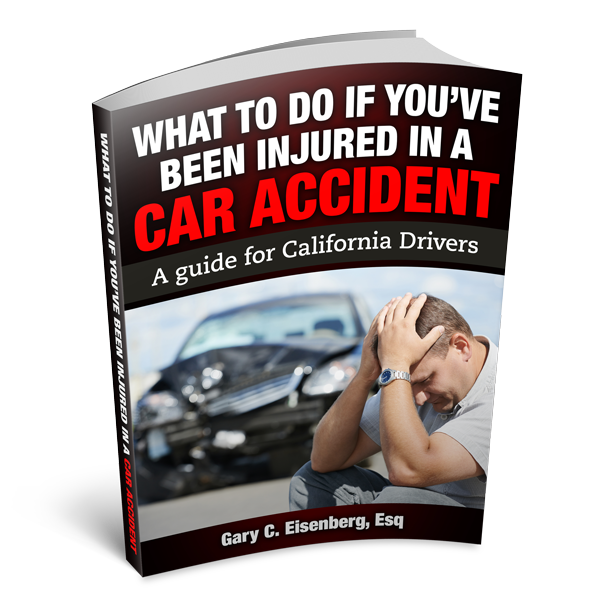 At The Law Offices of Gary C. Eisenberg, we have more than three decades of proven experience in personal injury law, including injuries and accidents resulting in wrongful death. Because Gary started his career working for insurance companies, he has a firsthand knowledge of how they operate and the best tactics for achieving optimal results. When you choose us as your Calabasas wrongful death attorney, we will explore all avenues to recover the maximum financial award to cover your lost income, lost companionship, medical bills, funeral costs, mental distress and other losses. We always strive to negotiate a favorable settlement out of court, but are also willing and able to take cases to court if necessary. As wrongful death lawsuits can only be filed within a certain period of time, it's important to contact a qualified attorney as quickly as possible to ensure that you receive the full amount to which you are entitled.